Membership of the Association is open to large national and multinational organisations devoted to veterinary dermatology. 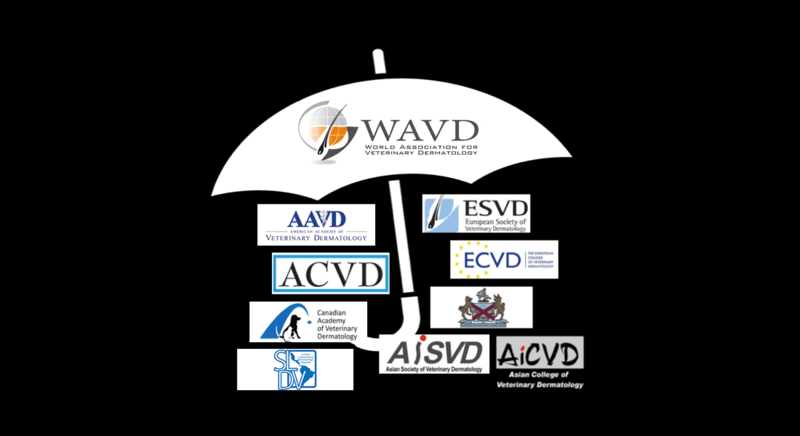 The AAVD was founded in 1964 in order to further scientific progress in veterinary and comparative dermatology. Founded in 1986, the Canadian Academy of Veterinary Dermatology (CAVD) promotes the advancement of Veterinary Dermatology with a singular united voice in Canada. The ESVD represents a broad range and diversity of veterinarians with a global membership base. The AiCVD is a veterinary specialty organisation established in 2005 and was accredited in 2016 by the Asian Board of Veterinary Specialties (AiBVS).